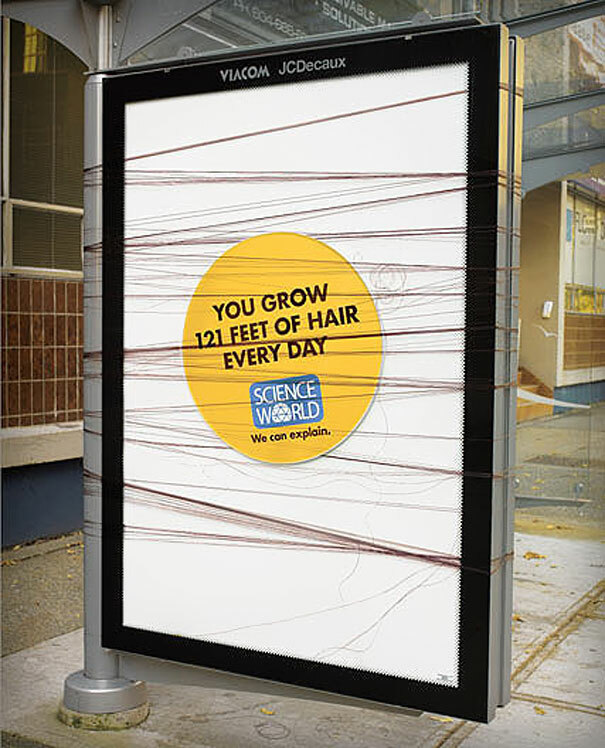 Awesome ads show that science can be fun. Be useful. Be interesting. Or be ignored. This is the three sentence survival guide for anyone who wants to earn attention and ultimately, influence action. 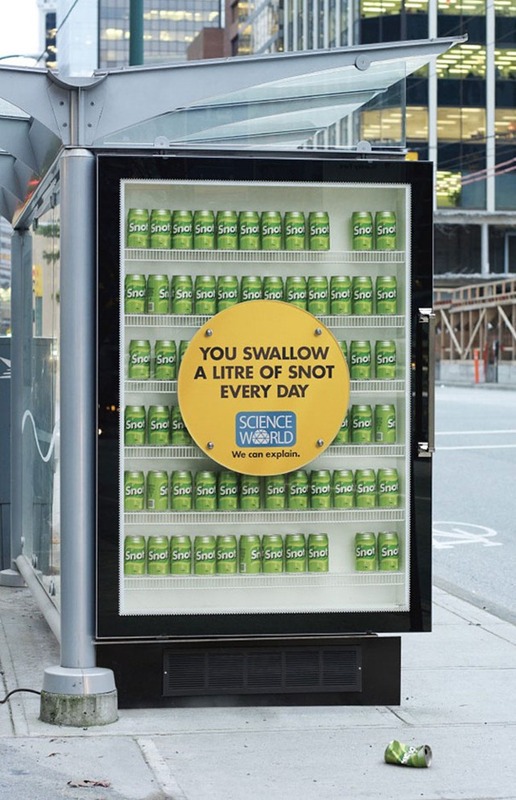 Recently, Science World in Vancouver took the three sentence survival guide to heart with this clever ad campaign that does its selling by telling. 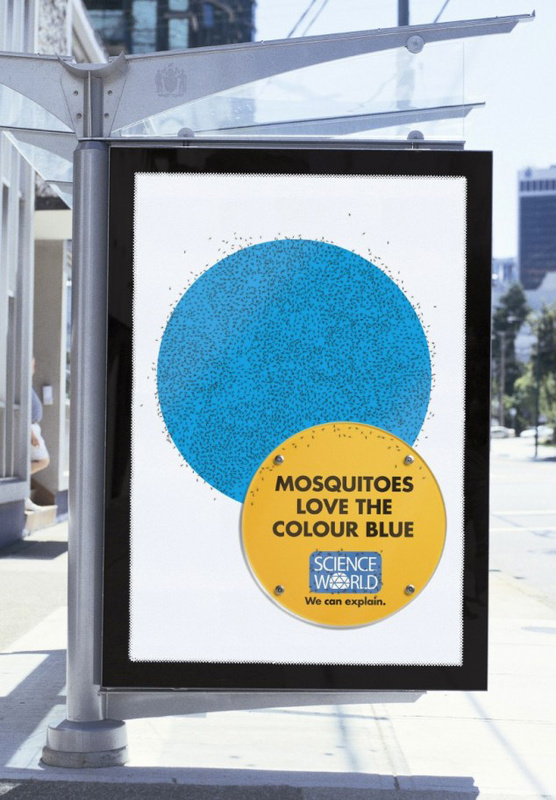 Rethink Canada and Science world, a non-profit organization that operates an interactive museum in British Columbia, have worked together for over ten years. The running tagline for the campaign is “We Can Explain”. Simple yet genius. One of the most eye-catching ones was probably the 6000$ worth of billboard covered in pure gold with the words “2 oz. 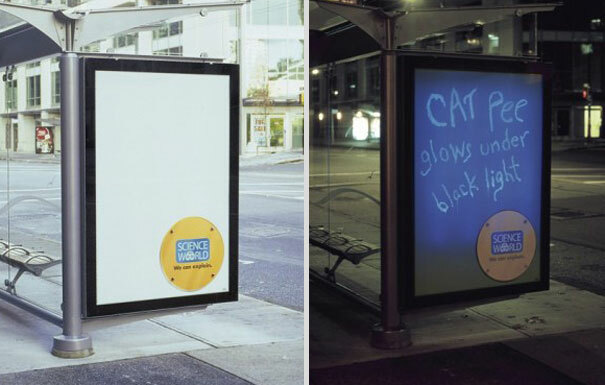 of gold can cover a billboard”. Two ounces may not sound like a lot, but just in case, Science World hired two guards to look after it day and night. 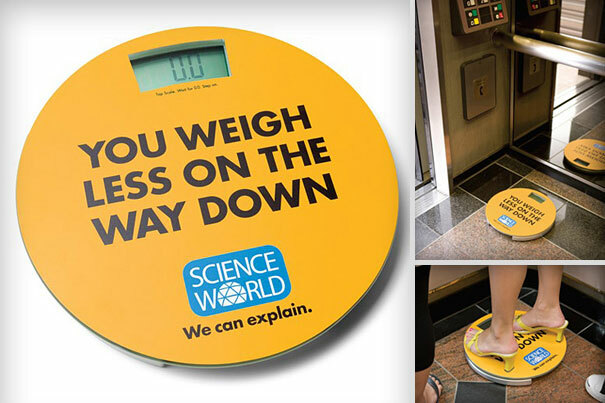 That’s just one example of the clever science promotion campaign. 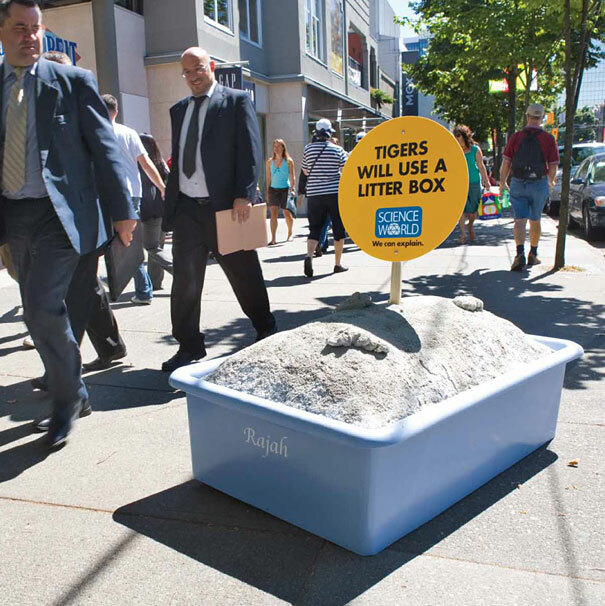 The ambient ads included smartly placed factoids, giving out funny, interesting or sometimes even gross information right on the streets. 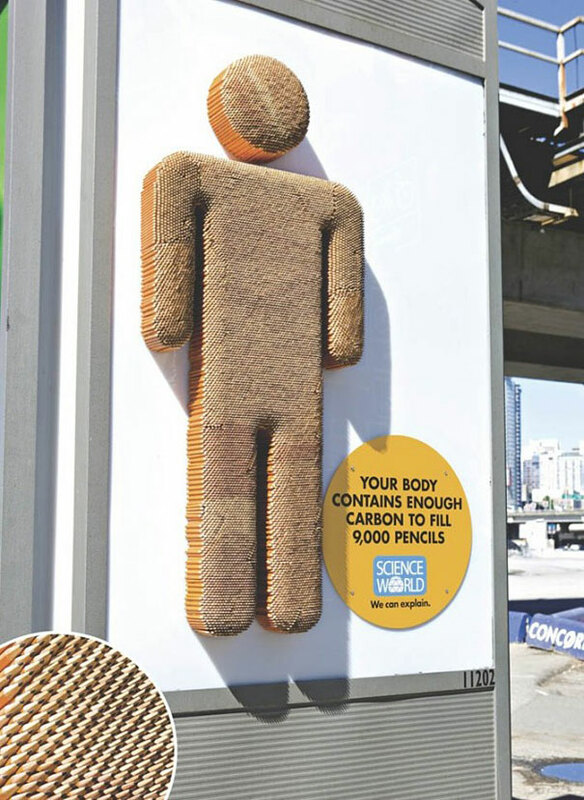 The whole campaign shows that science is as cool as you present it. See more photos of their ads over the years here. → Funny is good. But smart and funny is so much better. 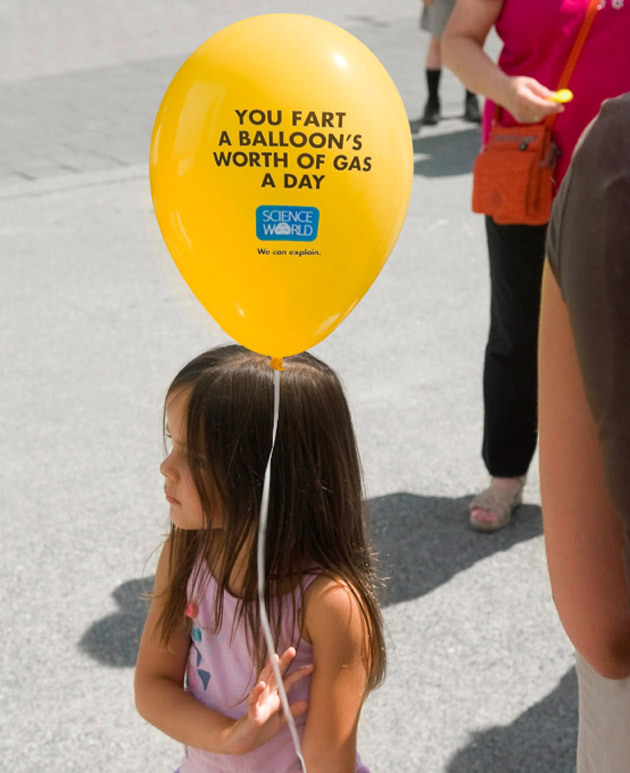 ← Good advertising helps people solve problems.